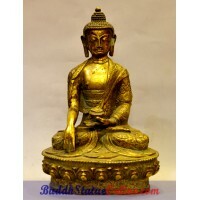 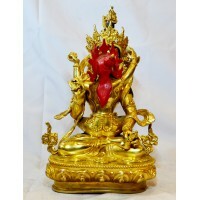 An exclusive quality statue of shakyamuni buddha in full gold plated with fine antiquated finishing.. 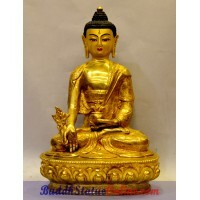 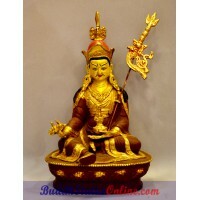 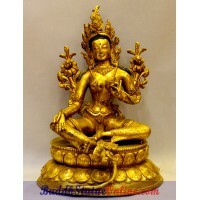 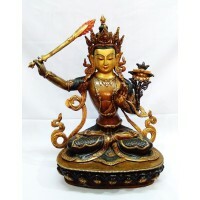 This is exclusive samantabhadra buddha shakti single statue without consort .. 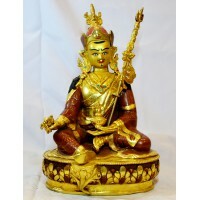 This is fine quality guru padmasambhava rinpoche statue in part gold fnishing in size 13 inches..